The type of camera I have is a Nikon D60. It slides into the hotshoe, but there are no connectors. The only connector on the flash looks like an audio jack, and I can't find out what kind of connector it is or what kind of adapter I need to use it. Here are some photos of the flash. 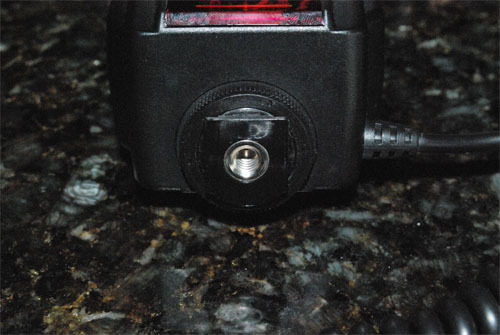 My guess would be that this is a cold shoe flash that's triggered via the audio cable. 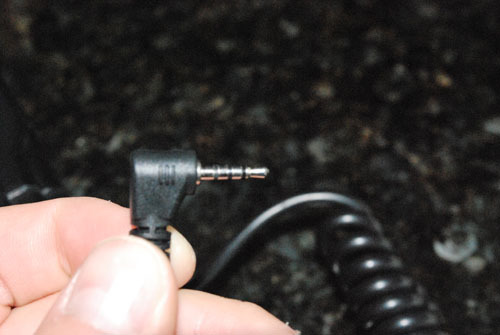 Some manufacturers started to replace the PC connectors to sync flash with audio jacks, because these cables are cheaper and more easily available . Think about the flash being "off camera" all the time. It might happen to be placed in the hot shoe of your camera or anywhere else you want. It never communicates via the hot shoe, but always via the cable. If your camera has a PC jack only to trigger a flash, you'd have to buy an adapter. I suspect that the target audience for this flash are strobists. It's basically a trade-off: if you're using manual off camera flash most of the time, you rarely trigger the flash via its hot shoe. An additional mounting option might be a very welcome feature to you that you would happily trade the hot shoe for. 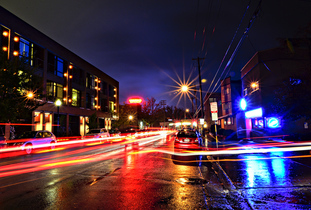 The flash consists of two components: the flash proper, and a dedicated module at the bottom, offered for various camera brands and systems. Each is available separately, which is useful if you are using two different camera systems from different makers; additional modules are just $70 or so each, much less than a whole flash. 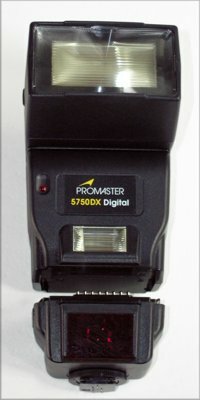 The promaster online store searched for "5750 dx" shows all the different modules that are available. (not sure if they are all compatible) I don't know which one you have right now, but I guess there is one available specifically for your camera brand. Not the answer you're looking for? Browse other questions tagged flash cables equipment-identification or ask your own question. How can I get proper flash exposure in AV mode without using ETTL? How do I know if it's safe to use a Nikon SB-20 on an Olympus E-520?